Who grows the pack of lettuce you bought this week at your grocery store? There’s a good chance it is grown by a multi-generational farming family in the heart of the Salinas Valley of California or near Yuma, Arizona. Working daily in her family’s farming business is Caitlin Antle Wilson, a next generation of women in agriculture. She is following the lead of her great-grandfather, grandfather and father and splitting her time between Arizona and California, based on the harvest of their vegetable crops. 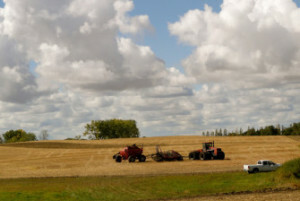 What is crucial for American agriculture to continue? A next generation of leadership. The average American farmer is about 60 years old and male, that’s my dad. We cannot continue to be a global food supplier if there is not succession planning and someone trained and prepared to step in. As a lifelong North Dakotan, I depend on Tanimura & Antle to supply my family and millions of others around the nation with a fresh supply of vegetables throughout the year. When I can get to know the farms that supply our food and I get to know the families behind the farms, I am encouraged and excited to support these businesses, brands and farm families. 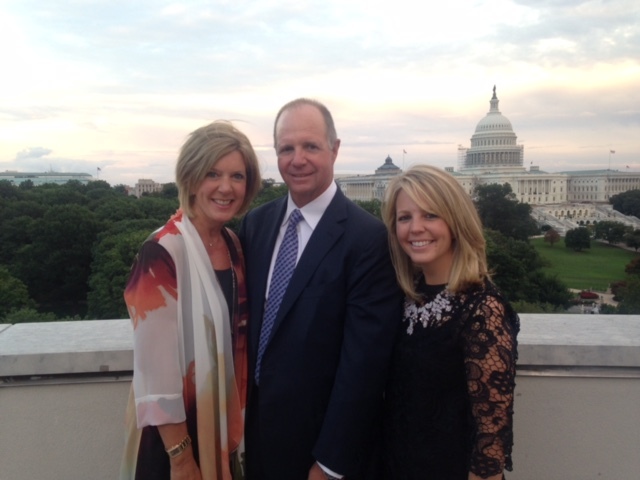 Caitlin Antle Wilson is a part of the excitement, energy and new leadership stepping up in agriculture. She also is a part of one of my favorite family farm stories in America. In 2011, I first visited Tanimura & Antle’s Salinas farm to learn and see lettuce harvest upfront with Brian Antle, a cousin to Caitlin, as a host to a group of food and parenting bloggers that a former client team and I were taking to a few California farms. The most famous YouTube chef, Chef John, captured this lettuce harvest video and shared a Grilled Hearts of Romaine Salad Recipe following our tour. I left with a forever impression that Tanimura & Antle’s family farm story is the backbone of American agriculture. They collaborate and innovate. They treat their employees with the utmost respect and work alongside them. They are true leaders in the produce industry. 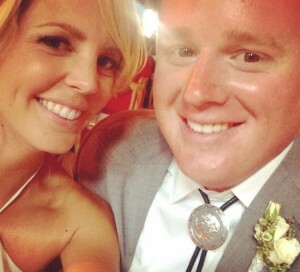 Following the 2011 tour, I met Caitlin Antle Wilson and we’ve stayed connected through the agriculture industry and events as well as through social media. Caitlin considers her hometowns to be both Salinas, California and Yuma, Arizona and she shares about them below in her own words. She married her best friend from college and former landlord, Patrick Wilson, four years ago. 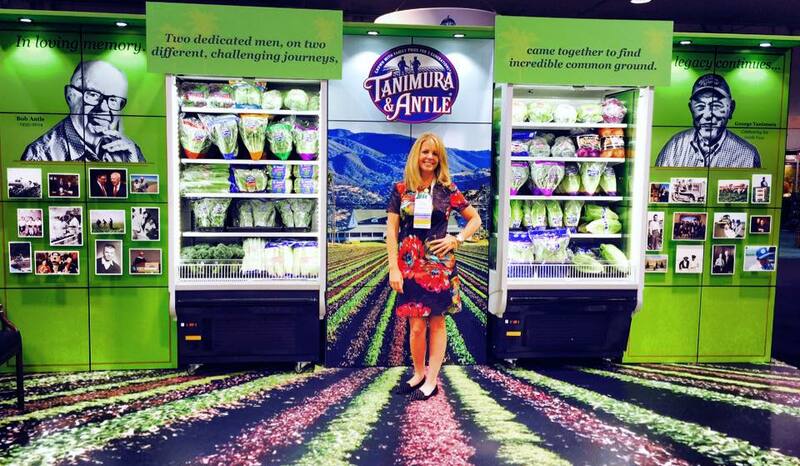 Today Caitlin is the sales and marketing manager for Tanimura & Antle. You can connect with her through T&A’s website, on Twitter, Facebook or Instagram. Through her own words, meet a next generation of leadership and energetic woman in agriculture, Caitlin Antle Wilson. How has Agriculture shaped your life? I was born into an agriculture family that dates back five generations. From moving every season since birth, my life has literally revolved around growing, harvesting, packing and shipping. The founding generations of my family helped pave the way for the evolution of what vegetable farming is today and that is both rewarding and challenging for me. My academic pursuits in the field began at an early age through 4-H and continued through college at the College of Agriculture at Colorado State University. My earliest work experience included work at a food service supplier in Colorado getting a very basic understanding of the way distribution works. 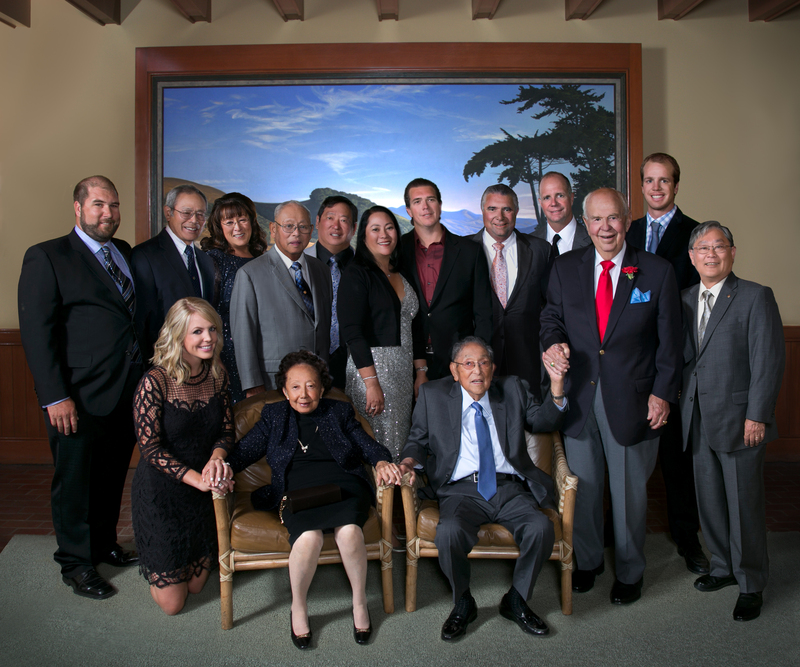 Through my hard work and dedication to Tanimura & Antle and the industry that shaped me, I hope to continue the pioneer spirit and innovative ideas of my great-grandfather, grandfather and father. What excites you about your community? I consider my community to be more than just Salinas, CA or Yuma, AZ. My community is the vegetable farming community nation-wide. I get to engage with this community locally, at trade shows, conventions, and more frequently online through social media. We are all land-loving, honest, family focused, hard-working people who have the same goal in mind- to feed our nation and the world with the best medicine that God could provide and to uphold what generations of farmers have done before us. I think hard work that is important to you is rewarding and meaningful. The more you put in the more you get out. Life is short and it is important to do something worthwhile and be happy. 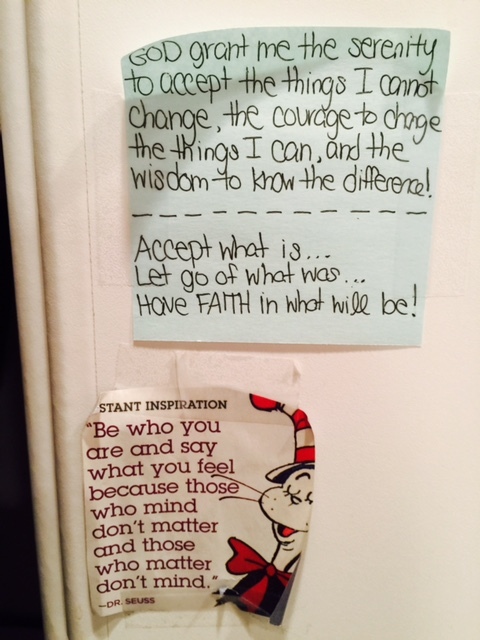 I keep a note in front of me daily (and I have taken a photo to remind me when I am traveling that I keep in my phone): “God grant me the serenity to accept the tings I cannot change, the courage to change the things I can, and the wisdom to know the difference.” AND “Accept what is. Let go of what was. Have faith in what will be!” Finally: “Be who you are and say what you feel because those who mind don’t matter and those who matter don’t mind” from the GREAT Dr. Seuss. If you had the opportunity to get a message across to a large group of people, what would your message be? The truth about the origin of our food is an important message. Fortunately, consumers seem to be informed more now than ever, but with this comes marketing ploys and untruths. Part of my message would be that conventional farming is not all bad for our environment. My family has been farming the same land with the Tanimura family for over 30 years. Where there is a problem with pests in a field, we spray FDA Approved pesticides according to labels for safe consumption. However, we do everything we can by using proven natural farming techniques to avoid this and still bring our customers high quality USDA Grade 1 products. What makes you smile? I love hearing from someone who knows about our business or has a story about how our products have touched their lives. I love working with my family everyday. Finally, I love knowing that I am part of something so much bigger than me. Thank you, Caitlin, for your passion, energy and commitment for your business, for your willingness to share and give back and for stepping up for to be a leader in agriculture. 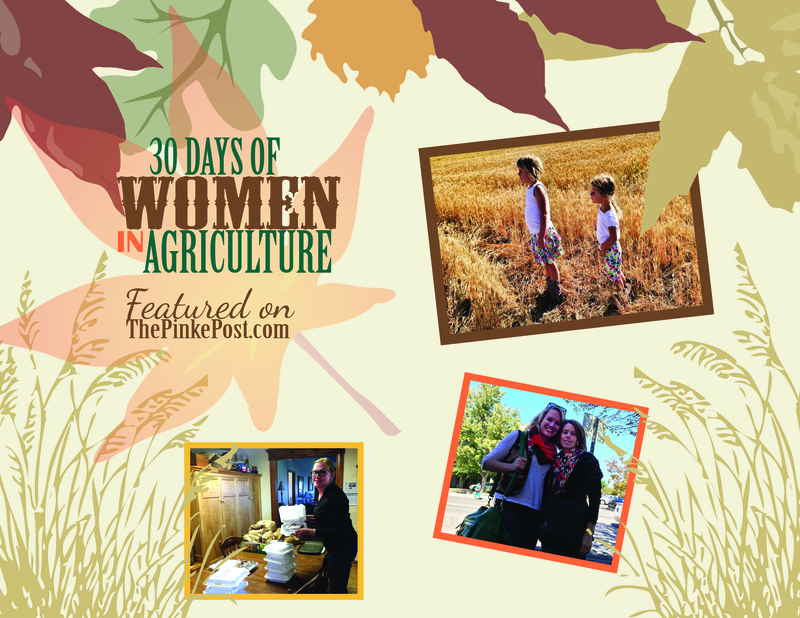 Below are all 30 Days of Women in Agriculture features with links. I hope you take some downtime to meet a few new ladies who lead in different agricultural regions and each have unique roles and stories. Be on the lookout for two sweet treats yet to be shared this week in giveaways before the series wraps up! Safe travels for those venturing out for American Thanksgiving and have a blessed holiday. I’ll be back daily with features throughout the long weekend!